Professional and hobbyist breeders contribute their new and proprietary strains to the community. These instructions are the same for starting a GroLog and editing a GroLog. You can access the strain list while you are starting a GroLog or Edit an existing GroLog. Once you've found your strain list, follow the instructions below. 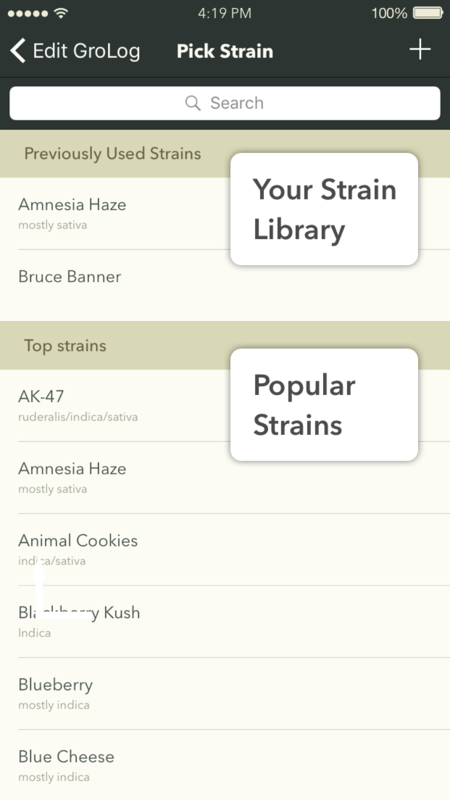 You can scroll through 9300+ strains... but it's better to Search! Start typing in the Search bar. 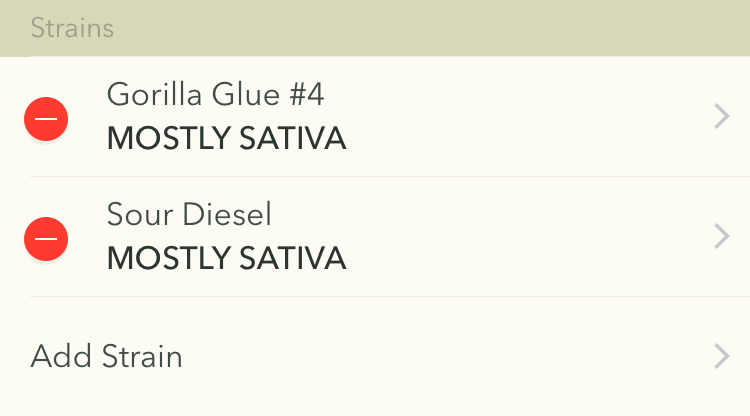 As you type the strain list is filtered by the letters you type. You can search the first characters of any word in the strain. eg. Typing Kush will filter the list to show Master Kush and Kushberry. Enter your Strain Name Make is something memorable and unique so others understand it. Check your spelling! Choose the Indica/Sativa balance. This is not precise, just an indicator to help others search and identify potential attributes. Select the Source. This is where you got the strain--important for referencing lineage. Choose Phenotype: Regular means the standard phenotypical expression for this strain. 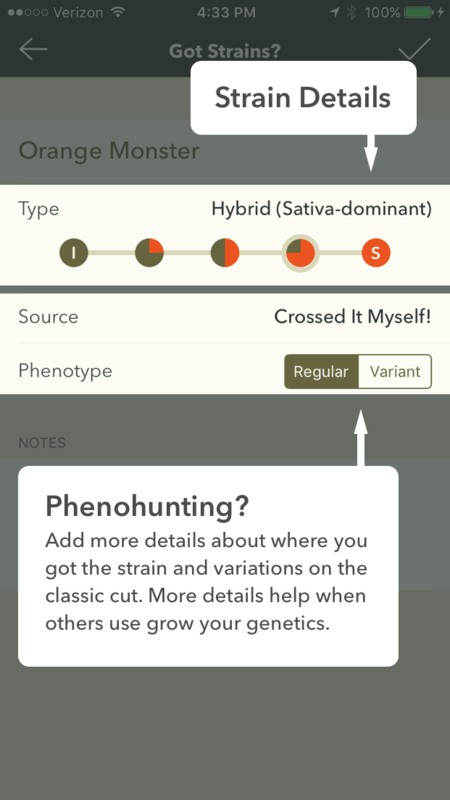 Variant means phenotypical expression outside the norm for this strain. Tap the check mark at the top right to save your new strain. The strain is now added to the Botana master strain list. Take care when changing your strain list in a GroLog. We recommend only changing your strain list if you added the wrong strain or left out a strain originally. Botana helps keep accurate records of your garden. Changing your strain list in a GroLog can mess up your data integrity. Note: If you've already tagged images or tasks with a specific strain, you can not remove it from a GroLog. You can scroll through 9000+ strains... but it's better to Search! Find and tap the strain in the results Note: If you tapped an existing strain, it will be replaced. Tap the check mark at the top right to save the changes to your GroLog.